Prime is the second privately owned national free-to-air television broadcaster currently available in New Zealand. The broadcaster airs a varied mix of programming, largely imported from Australia, the UK and the United States, as well as free-to-air rugby union and cricket matches. It was originally owned by Prime Television Limited in Australia. Prime later entered into a joint-venture agreement with Nine Entertainment Co. (Nine Network Australia), causing the network's graphics to look like Nine Network. On 8 February 2006, the Commerce Commission gave Sky Television clearance to purchase the station for NZ$31 million. Prime's analogue terrestrial signals had covered 91% of the population via the state-owned Kordia transmission network. It is currently available in digitally free-to-air form via Sky Network Television on satellite and Kordia on terrestrial. Vodafone also carry the channel for their cable subscribers in Wellington and Christchurch. During early 1998, the United Christian Broadcasters purchased 34 TV licences of UHF spectrum from TVNZ that had been used for the defunct Horizon Pacific and MTV. Then during June 1998, Prime Television Limited in Australia purchased the unused 34 TV licences from United Christian Broadcasters for approximately A$3.6 million. The licences covered all major cities and towns, mainly on UHF, except for the Gisborne area, which is served via a VHF signal. On 30 August 1998, Prime Television New Zealand began broadcasting at 6.30 pm with Two Fat Ladies. Originally the station broadcast classic British programming, documentaries, sports and dramas aimed at the 30 years and above age bracket. In Waikato and Christchurch, Prime produced a half-hour nightly news programme. Although these programmes rated well, they were unprofitable. In February 2002, Prime New Zealand entered into an agreement with Australian media mogul Kerry Packer's PBL (parent of the Nine Network). Under this five-year agreement, Nine agreed to provide the station with content it owned the rights to, expertise and an amount of cash. In return, Nine was given the right to acquire 54% of Prime New Zealand at the end of the contract. If Prime New Zealand continued to lose money, Nine could choose not to take this up. After this deal, Prime took on a broader and more expensive programming mix and axed the local content to cut costs. This increased ratings and profits significantly. This new format was modelled closely on the Global Television Network in Canada, whose parent company Canwest happened to own TV3 at the time. Almost immediately, some Australian programmes produced by Nine Network and shown on Prime NZ took on a slightly New Zealand flavour. For example, one New Zealander per week began to appear on the Australian version of Who Wants to Be a Millionaire?, and weather details for New Zealand cities appeared on the Australian Today breakfast programme. Localisation of Australian programmes increased, with New Zealander Charlotte Dawson becoming the presenter of a New Zealand version of Nine travel programme Getaway (Dawson left this position at the end of 2006). Many Australian programmes were simply broadcast on Prime without any adaptation for New Zealand audiences, however. During 2003–04, the number of Australian programmes broadcast decreased. These were largely replaced with more expensive (and higher rated) British and American programmes, such as a Sunday evening British drama slot. On 2 November 2004, TVNZ presenter Paul Holmes announced that he was resigning from his Holmes programme on the state broadcaster and beginning a new one on Prime in 2005. This new programme, called Paul Holmes, began on 7 February 2005. The arrival of Holmes was seen as a major sign of Prime's rise in status, from a small, second-tier network to a major player on the New Zealand scene, joining TVNZ and TV3 in this regard. The programme, however, did not rate well. In June 2005, Prime moved the show to 6 pm, directly following Prime News, in an attempt to increase ratings. This was ultimately unsuccessful and Prime TV cancelled the programme on 8 August 2005 due to poor ratings. Holmes returned to host a one-hour weekly current affairs/interview programme, which was still called Holmes, and screened on Thursday evenings. In 2006, the show was relaunched as a strictly entertainment-oriented talk show and screened on Wednesday evenings. It did not return in 2007, but two "specials" were filmed. For most of 2007, Holmes' work for Prime consisted solely of a weekly opinion segment, broadcast Sunday nights as part of Prime News. In late December 2004, Prime announced it had acquired New Zealand broadcast rights for the new series of Doctor Who, one of its highest-profile imported shows, which went on to screen in June 2005 to generally good ratings. In 2005, Prime announced that it would broadcast a minimum of 5.5% of local programmes, following recommendations from NZ On Air. From 6 October 2005, Prime showed a weekly programme called New Zealand's Top 100 History Makers, where a brief biography of notable New Zealanders was shown as ranked by a panel of experts. The final episode, screened on 17 November 2005, showed the rankings of these people as a result of votes collected from the public via text and Internet. In November 2005, Sky Television purchased Prime for NZ$30 million. The deal was subject to Commerce Commission approval and undisclosed conditions. On 8 February 2006, following receipt of Commerce Commission clearance, Sky Television purchased Prime New Zealand from Australian-based Prime Television. The acquisition of Prime by Sky Television saw a range of shows screened on Sky channels now included on Prime, these shows included American Chopper and MythBusters, which screen on the Discovery Channel. In December 2005, it was announced that Prime had secured the 2006 free-to-air delayed broadcast of Rugby Union from TV3. On 4 September 2006, the network relaunched with a modified logo, already seen in print advertisements, and new on-air branding. In April 2008, Prime switch to broadcasting in a lower quality anamorphic widescreen 16:9 format following the lead of other Freeview and Sky channels. Previously they had opted to use the more proportionally scaled letterbox format for 16:9 content. They like other Kordia PAL analogue broadcasters are using a 14:9 letterbox format on their PAL simulcast. Prime signed a deal with CBS Television Distribution to air exclusive first run content from 1 January 2013. From 2018, Love Island will start playing on this channel shifting from TVNZ 2. It has been announced that Prime TV has bought the rights of Warner Bros. Television entertainment from TVNZ. In 2010, Prime HD was temporarily launched only on Sky TV Channel 140 to cover the 2010 Winter Olympics. Prime HD was only available during every Olympics or Commonwealth games on Channel 444. Freeview HD viewers did not have the option to see the Olympic or Commonwealth games in high definition. 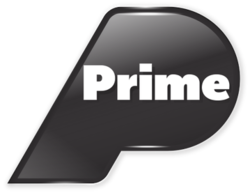 On 13 January 2016, Prime underwent a brand refresh and began permanently broadcasting in High Definition. It is unclear whether Prime HD will be available to Freeview DTT viewers. On 7 May 2007, a consortium of broadcasters including TVNZ, MediaWorks (owners of TV3 and C4), Maori Television Service, and Radio New Zealand launched the non-profit, free-to-air Freeview service, the nationwide digital free-to-air system in New Zealand. The service was initially broadcast via the Optus D1 satellite in standard definition only, but in April 2008 extended to a high definition digital terrestrial service which is broadcast in main centres only. Prime was widely expected to be included in the initial group of Freeview channels, but Sky Television had consistently refused to take part, citing poor economics. Broadcasting Minister Jonathan Coleman then asked officials to invite Sky, Freeview and state-owned transmission company Kordia to meet him to discuss the matter, but Sky TV spokesman Tony O'Brien was quoted as saying "It is not economic for Prime to be on Freeview at this time." The economics had to do with non-government-owned broadcasters paying less for transmission costs on the government-owned Kordia network. A deal between TVNZ and Sky to have TVNZ 6 and 7 available to Sky subscribers in exchange for Prime finally being launched on Freeview with a virtual channel assignment of 10 on 17 August 2009. If Prime would have joined at launch then they may have been able to get a lower assignment, however virtual channel assignments are only enforced on certified receivers. It is also noted virtual channel 10 is not far off its usual tuning to push-button 9 on analogue television sets, due to its historic links with the Nine Network, its allocation on Sky's former analogue terrestrial service, and for compatibility with video recorders using the G-Code scheduling system. Prime joined Freeview on 17 August 2009 and is broadcasting in the clear on both the satellite and terrestrial services. From October 2013, Sky ceased the encryption on the three regional satellite feeds for Prime, so they could be used for channel locked, Free view certified satellite receivers. However, TVNZ is still only linking to the Auckland regional feed for all areas. From launch Prime broadcast local newscasts in Christchurch and Hamilton on weeknights at 5:30pm. Christchurch's bulletin was anchored by Vanessa Rawson. Both bulletins ran for half and hour, but due to intense competition for local news in Christchurch and a lack of viewership, both bulletins were cancelled. Prime launched a nightly news bulletin – branded as Prime News – First at 5:30, from 2004. Unlike their early foray into local news, the new bulletins were screened nationwide and as a result, held a stronger national focus. Launched in February 2004 as Prime News – First at 5:30 and was presented on weeknights by former Getaway (TVNZ version) presenter and ABC (US) reporter Suzy Clarkson (née Aiken) and was produced in Sydney by Sky News Australia, using the resources of Sky News Australia and Newstalk ZB broadcasting from a chroma keyed studio. In 2006 Prime and Sky TV moved to a new broadcast hub in Albany near Auckland New Zealand, A new studio and host Eric Young coincided with the move and a relaunch of Prime. Prime News, and used the same graphics and music as its sister bulletin Sky News, it also sourced more local content sourced primarily from 3 News. The role of sports newsreader was held by Suzy Clarkson (née Aiken), and newcomer Ross Karl, with Clarkson also reading the weekend news. Political coverage was provided by Newstalk ZB political editor Barry Soper, along with several other Wellington-based reporters, at this stage Prime had no full-time South Island reporters. During the Rugby World Cup 2011, Prime News hosted several bulletins from the ANZ Viaduct Events Centre in Central Auckland. During the 2012 London Olympic Games Prime News broadcast from a temporary shared space with Sky Sport. On 23 January 2015 it was announced that Prime News will be Produced by MediaWorks, and it was confirmed that Janika ter Ellen, and Wayne Hay will replace Eric Young due to his current commitments he was unable to present the show. The new look show debuted on Sunday 1 March presented by Janika ter Ellen. On Monday 13 April Eric Young returned as Weekday Anchor, with Wayne Hay moving to 60 Minutes and Janika ter Ellen staying at weekends. On February 16, 2016 a new look logo was launched and news began being presented and broadcast in High Definition. Current affairs is provided as a New Zealand hosted version of the CBS show 60 Minutes with the bulk of the stories coming from the foreign show. Prime has the free-to-air rights to cricket and rugby union, meaning Prime TV's schedule includes delayed coverage of Super Rugby games, All Black tests and Black Caps cricket matches. Prime used to broadcast a weekly Sunday afternoon sports highlights show called Ultimate Sport Sunday, which included highlights of cricket, rugby union, NRL, Formula One, WRC and Moto GP. With Prime now 100% owned by Sky Network Television, (holder of the pay television rights for the above events), it is well placed to continue holding the rights indefinitely, as Sky is effectively selling them to itself. Prime was also granted the rights to broadcast the free to air screening of Euro 2008. Free to air coverage of the 2012 London Olympics was seen on Prime with Sky being the new rights holder. Prime is the Free TV broadcaster of the ANZ Championship and shows highlights weekly. Prime is the Free TV broadcaster of the Copa del Rey Final in New Zealand since 2015. Prime also broadcasts one-hour versions of WWE Raw and WWE Smackdown. 60 Minutes 2013 New Zealand version of the news and current affairs show 60 Minutes. Previously screened on TV3. The Crowd Goes Wild 2006 Sports entertainment show presented by Andrew Mulligan and James McOnie. Prime News - First at 5:30 2004 Evening news bulletin which screens 30 minutes earlier than rivals 1 News At 6pm and Newshub Live At 6pm. Prime Sport Coverage of various sporting matches including cricket, rugby union and National Rugby League. The network currently holds the rights to screen the Olympic Games and Commonwealth Games. Holmes 2005 Current affairs show presented by Paul Holmes. He previously presented a nightly current affairs show titled Holmes on One between 1989 and 2004 but moved to Prime in 2005. The show was initially titled Paul Holmes and screened at 7pm. The show moved to 6pm, mid-2005, now titled as Holmes and was later cancelled due to low ratings. New Zealand's Got Talent 2008 New Zealand version of the Got Talent series. The show screened one season on Prime in 2008, a second screened on One in 2012, and a third season in 2013 but was axed in 2014. Prime used to broadcast Nine Network Australia's early morning news programmes such as Today and, until 6 February 2007, National Nine News: Morning Edition when the Nine Network had ownership. Overnight, and during important international news events such as the 2008 US Presidential Election, it has relayed the international feed of US news channel Fox News. Prime Plus 1 is an hour delayed timeshift channel of the Prime broadcast. It was launched on 1 February 2017. It is available on Sky channel 514 or can be manually tuned to free-to-air satellite-signal receivers. ^ "CBS Press Express - PRIME TV AND CBS STUDIOS INTERNATIONAL CONCLUDE NEW DEAL". cbspressexpress.com. ^ "Prime is due to be released onto Freeview on Monday 17th August, 2009". 2009. Retrieved 16 August 2009. ^ "Prime News production moves to NZ". Stuff. 23 January 2015. ^ "Competitions & Events • Netball New Zealand". www.mynetball.co.nz. This page was last edited on 27 December 2018, at 21:33 (UTC).